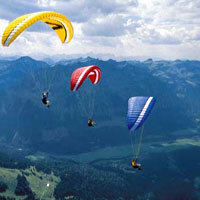 Our Paragliding Tour Packages are specially crafted to give you an exhilarating experience of a lifetime. our packages our sure to awake the dormant explorer in you. Paragliding fly guaranteed to transport you to a place where you can galvanize accumulated stress of mundane busy life to an exhilarated de-stressing experience. We have a team of trained professionals who will supervise the activities and are deployed at your service; to take you through a magical world of adrenaline filled extreme sports. A hot air balloon ride is an expedition in itself. Anyone can get awe-struck upon witnessing a hot air balloon coming to life. Furthermore, it gives the feeling of walking amid the clouds as it ascends to the altitude. 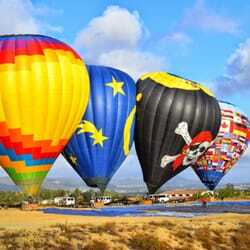 A hot air balloon ride is popular among people who are looking for a sober adventure. Flying over magnificent destinations for an hour assures that humans can fly in their own way! A hot air balloon ride package is available with tour operators and comprises refreshment and first flight certificate as a token of appreciation. River rafting is another name of the white water rafting. It is a recreation activity that is conducted outdoors with the help of an inflatable raft. Usually, tourists or adventurists search for the whitewater or any other rough water for this activity. 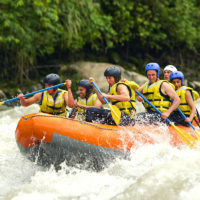 If you want a thrilling river rafting activity with your friends, then contact us anytime. Reckoned for its adventurous activities, Goa is abounded with islands that are enclosed by the coastal waters. 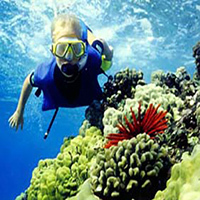 The Scuba diving activity is popular amongst the tourists of Goa. One of the specialties of Goa is that the underwater formations and coral reefs are untouched by the human activity. If you are traveling to Goa for Scuba diving, then you should definitely go for some of the best spots like lighthouse point, and other diving sites with ample of big fish action. Moreover, you can visit the north island that is an amazing diving site with coral mounds and hard corals. Believe it or not but helicopter rides are fun. Exploring different locales from a bird’s eye view is simply astounding. Tourists from various places visit India for relishing the activity of riding a helicopter to see mesmerizing plains, arresting hills, waterfalls, rivers, and numerous others things. For a duration of a couple of minutes, anyone can be enthralled with the beauty of Mother Nature seen from entirely a different perspective. 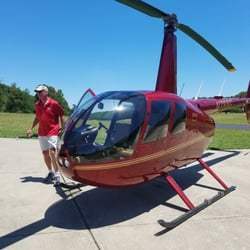 The tour operators provide different tour packages for relishing a helicopter ride accordingly. Furthermore, all safety measures are followed for all riders while safety gear is provided for free.